Microsoft will soon have your resume on file — or at least the resume of a few hundred million LinkedIn members. The two companies announced a deal this morning that would see Microsoft pay $26.2 billion to acquire the job-networking site. The all-cash price tag put on the deal is nearly $10 billion more than LinkedIn’s current value, so why is Microsoft paying a premium for the site? The tech company — which has has had to endure growing competition for both its Windows operating system and Office software — points to LinkedIn’s significant growth, as the network claims to increased its user base by 19% in the last year, bringing it up to 433 million people. In a presentation for investors, Microsoft explains that combining the two companies’ audiences — after all, many younger LinkedIn users may not be using tools like Office or a Windows-based PC — may expose non-Microsoft consumers to the company’s products. Perhaps more importantly, this combination improves their ability to provide high-value targeted advertising. According to Microsoft, adding the LinkedIn users increases the company’s “Total Addressable Market” by 58%, from $200 billion to $315 billion. The question to be answered in the long term is whether or not those users are active, or just people who register once then never update their data or use LinkedIn. You can’t address that market segment if it’s not showing up to be addressed. To that end, Microsoft explains that recent LinkedIn upgrades to its mobile app — along with improvements to the site’s news feed — have resulted in more people engaging with the site. According to Microsoft, LinkedIn now sees more than 105 million unique visitors each month, an improvement of 9% over a year earlier, with 60% of users coming in from mobile sources. LinkedIn is also becoming increasingly competitive in the job listings market, claiming to have in excess of 7 million active listings available for perusal. This was essentially Google’s hope when it launched its Google+ social network, being able to encompass the entirety of a user’s online life all through company-owned products. Microsoft, rather than struggle to push that social networking boulder up the hill, is taking the expensive shortcut of buying a network. The LinkedIn acquisition also provides an opportunity for Microsoft to make its Cortana digital assistant a more vital tool for consumers; though much of that utility once again relies on people integrating other Microsoft-owned tools into their routine. 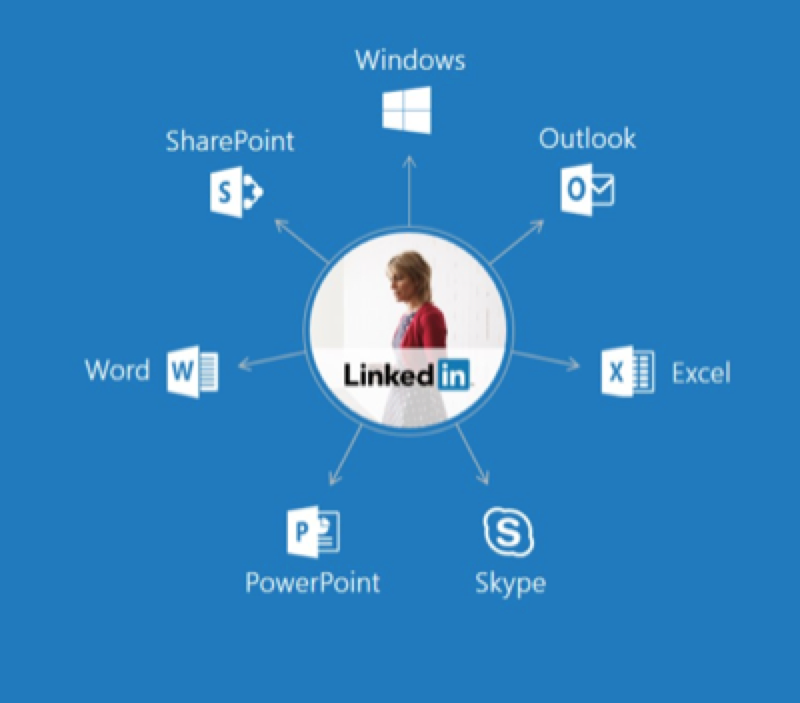 LinkedIn recently acquired online learning platform Lynda.com, and Microsoft believes that this is an opportunity to push Office on users, thus increasing the audience base for the popular applications. The boards of both companies have already unanimously approved the deal, which would still need regulatory approval in the U.S., Canada, Brazil, and the European Union. While there are no real overlaps between the two businesses, there will no doubt be some concerns about handing over the personal information for nearly half a billion people to Microsoft. That said, the companies believe they will gain regulatory approval and close the deal by the end of the year. Previous An Emotion-Detecting Echo Speaker: Helpful Or Going Too Far?